A duel is a kind of “Arms" where speed and concentration replace pure strength. The game is played in winning set as in Tennis. From 1 to 3 winning sets. The game begins with the appearance of a bar of a certain color placed in the center of the playing field. With a similarity to rugby, the winner of a set is the one who propels the bar behind the opposing goal line. The first player who gets the number of set winners chosen, wins the duel. To move this bar each player has a “Color Button". It is colored according to the strength (iPhone with 3DForce Activated) or the area touched by the finger on its surface. A mobile index system makes learning the “Color Button" easier. The goal is to make the color of the bar appear on its button, then to maintain this color a necessary time to validate the shot. The one of the two players who will have done this operation before the other propels the bar one step towards the other goal. It also marks the points displayed on the ground at the location that the bar is now covering. 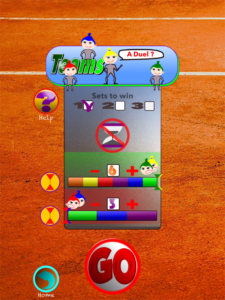 These points will eventually be used to decide the players in the event of a set maximum time (with timer). 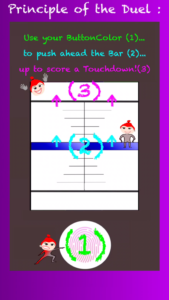 The bar during this movement changes color and the duel continues until the bar has passed one of the 2 goal lines. – No Time Limit or Timer with then 3 options 30 ", 1 ‘or 2 minutes. 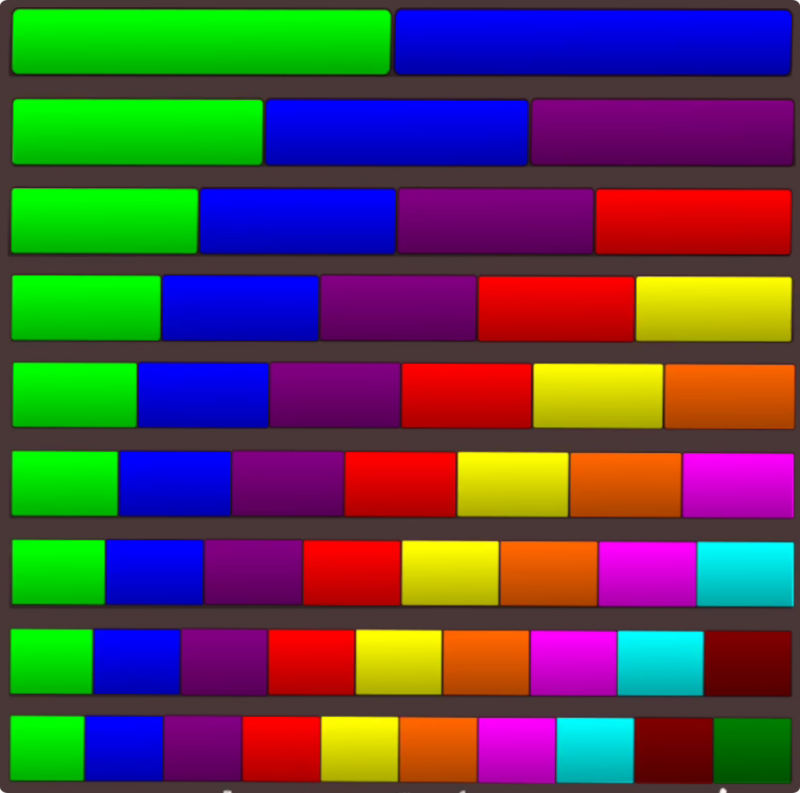 – Number of my colors possible Button / Bar from 2 to up to 10. – For each player, a Cursor can be activated to help him master the Button. This option is not always available. No need to let a member of your family or a friend less fast, he can beat you despite yourself! In this case, it is its right side of the bar that defines for each its target color. There are up to 9 combinations (called Colors) of 2 to 10 colors each. You can access the other Colors (4 to 10) via “lightning" thresholds to reach in Solo mode, by having at least 15 friends or via the Colors shop. In Solo mode, it is also possible to gain life to temporarily access non-infinite colors. 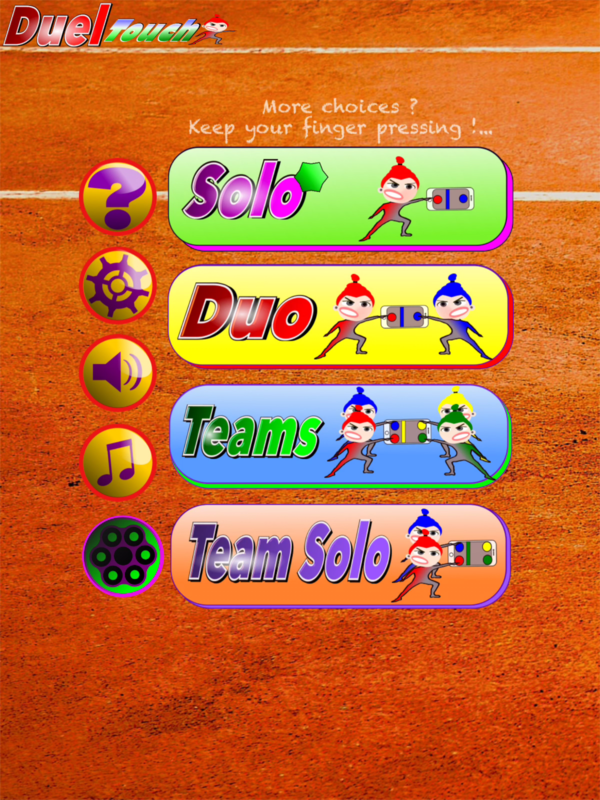 – Solo : Solitary Training Mode and Color gain. 1 player against the machine. Learn how to master gradually and at your own pace the reactions of the control button and the sequence of colors. 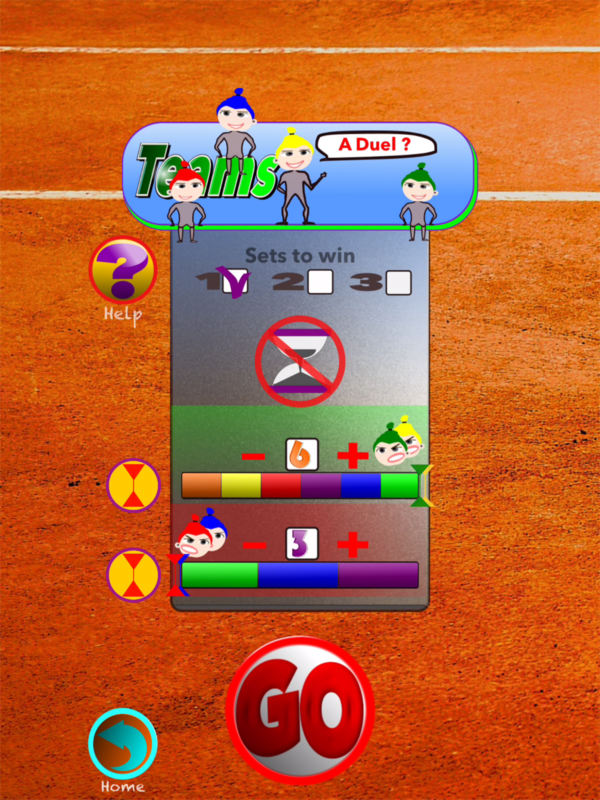 First choose your type of Duel (Set, Timer, Colors) via the settings and also adjust the difficulty from 0 to 100 as you please. Then press “GO" to launch the Duel. 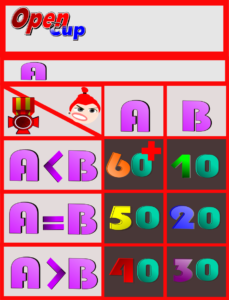 The average score of this table is displayed in the title and results in a Level Badge for that Color. There are 19 levels from light green for beginners to dark green for the best. A “flash" informs you of the threshold that your average must reach to obtain the next Color in Infinite status. It will then be available in all Solo Modes / Duo / Teams / TeamSolo. More easily, you can win stars that will give you the opportunity to have lives (Hearts) for some duels in other colors but only in Solo mode. A general summary “Success" takes your Solo results in all Colors, displays an average of 9 Colors and a Solo Global Badge. If friends have already played with you in “Duo Local", “Team Local" or “Duo Invite a Friend", you can find their 10 Solo scores via “Friends + World"
– Duo: The real mode Duel! 2 players, one against the other. No more training against a machine, instead of reality !! 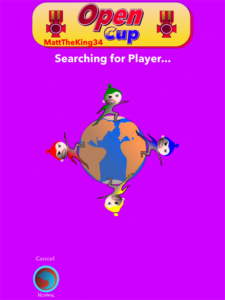 This is the “Cup" mode to compete with unknown players from around the world, while keeping an eye on the performance of your friends. Or just send an invitation to a friend for a small personal challenge. Like Teams but against the machine. There are 3: Open, Master and Blitz. The difference between these 3 Cups lies in the fixation, or not, of certain game parameters, in the selection, or not, of the players between them to form a duel and in the way we go up (and sometimes down) in rank in each Cup. Each has a rank by Cup and by Color, ie 27 grades. The starting grade is always LightGreen and the progression follows that of the colors of the game: LightGreen, Blue, Purple .. until Green. The choice of the opponent is random and depends on similar requests made at the same time. 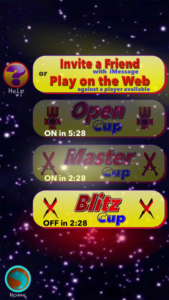 In order to facilitate the quick search of an opponent, only one of these 3 Cups is available at a given moment. These 3 Cups are open to players with a minimum of 15,000 in Global Solo mode, the green / blue badge. This is the Cup open to everyone where everyone can play with everyone regardless of his rank, in the limit of his Infinite Colors. To apply for an Open Cup just select this option, then wait for the game to put you in touch with a player who is also looking for an Open Cup opponent. For this first duel, the game thus meets 2 players and takes care of the selection of the parameters, then if the players wish to make a revenge, the parameters all become accessible but are the subject of a phase of validation / negotiation ( eg a handicap) between the 2 opponents. Each in turn offers his choice to the other. The Duel begins when the 2 players have agreed. 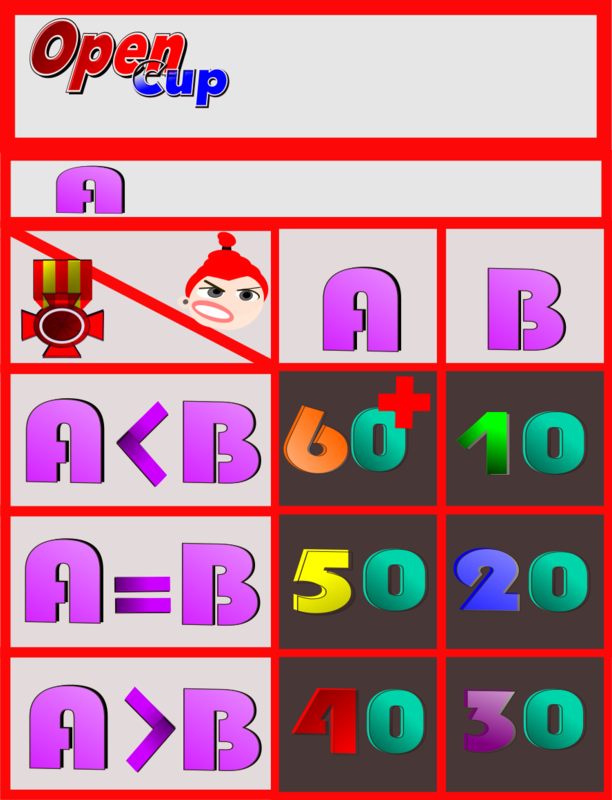 The rank of a player is recalculated regularly because it depends on the points acquired by all players. The light green grade is awarded to the 10% of the players with the lowest scores and the opposite is the grade dark green is awarded to the 10% with the highest scores. The duels made during the Master Cup and Blitz Cup also generate Open Cup points but not the opposite. Here the parameters “Set winners = 3, no Timer, no Index and identical colors" are imposed in all duels. This configuration in 3 sets without timer is the most difficult of all, because you have to keep your concentration to the maximum and reconcile speed and endurance hence its name. To apply for a MasterCup simply select this option, choose the Color of the Duel in the settings and “GO" then wait for the game to put you in touch with a player with the same request. 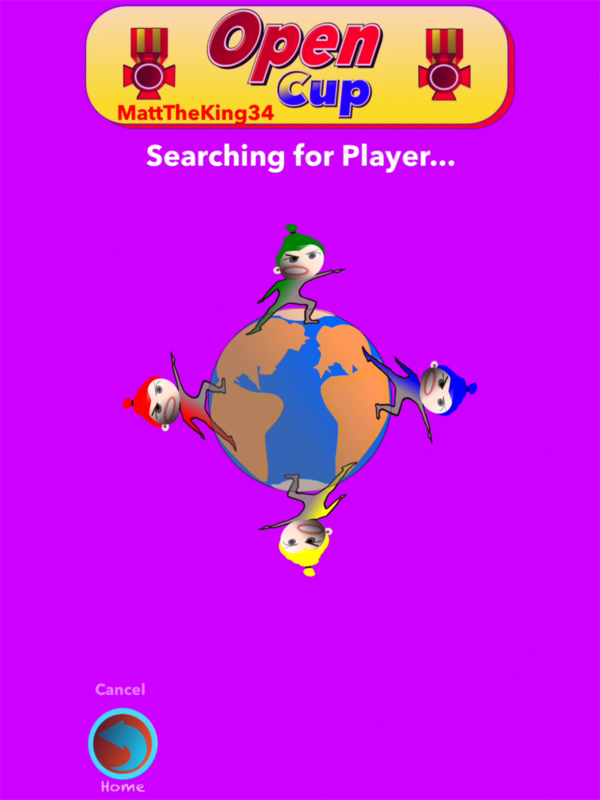 Warning: Unlike OPenCups, a player in the Master Cup can play in a Color only against an opponent of the same rank as himself in that same Color. At the beginning each player has the grade LightGreen for each Color. A certain number of wins must be achieved by grade to be admitted to the TestMatch phase. Defeats are not taken into account. A certain number of wins must be achieved by rank without exceeding a maximum number of defeats. If the player exceeds his quota of defeats he returns to Qualification but with only 5 victories to validate before a new TestMatch. Passing the TestMatch validates obtaining the higher rank. We can not chained 2 duels Master Cup in a row with the same opponent. After the first duel, the game automatically switches to Open Cup mode for possible revenge. Each Master Cup duel produces Open Cup points. 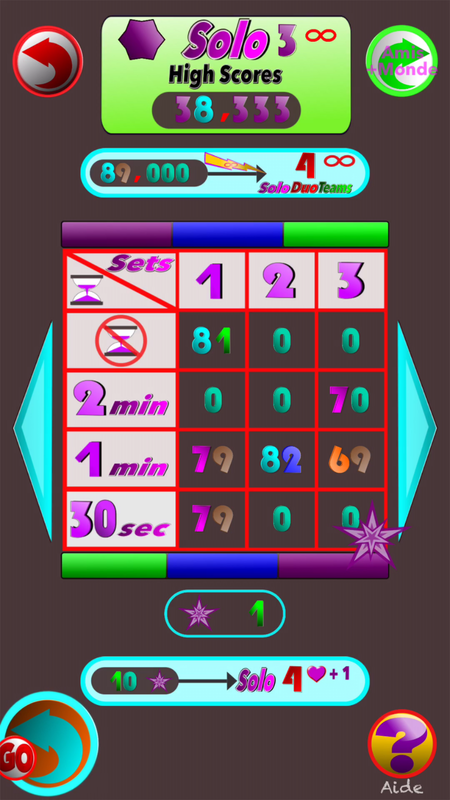 Here the parameters “Set winners = 1, Timer = 30", no index and identical colors “are imposed in all duels. In this fast Cup a good start is essential and you have to be 100% in a row ! !